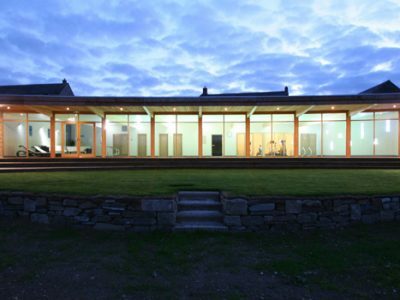 This beautiful, sustainable building houses a swimming pool, sauna, gym, toilets and wet rooms and is available for use by the guests of Helsbury Park. 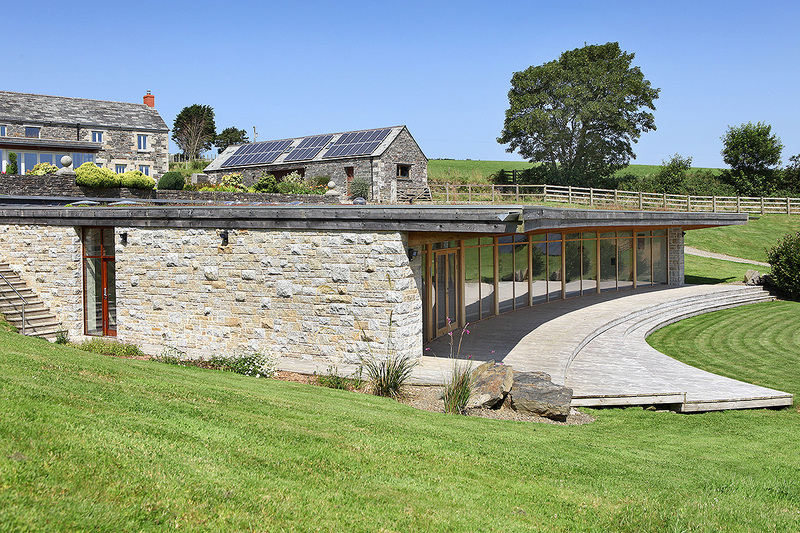 The building has a totally sustainable approach to it’s construction and the impact it has on the environment. 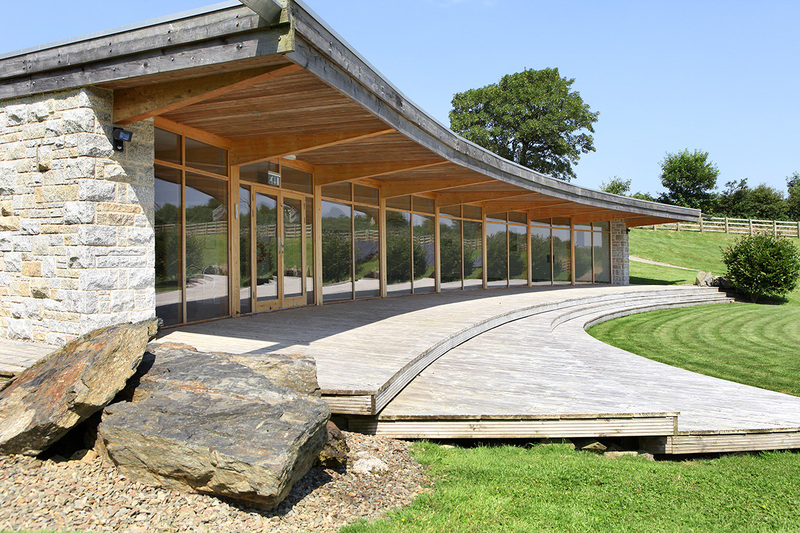 It sits in the lee of the hill and blends in to the landscape ensuring that it complements the beauty of the Helsbury site. The facilities include a 15m x 5m swimming pool which has a constant depth of 1.2m; a gym which has a number of cardio machines including a recumbent bike, cross trainer and treadmill; the sauna* is extremely spacious and the lounge is very comfortable with a wonderful deck and lawn at the front of the building if you just want to take in the view and sunbathe. 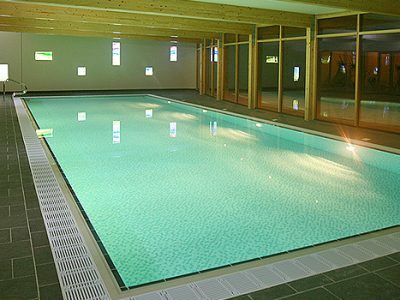 It’s already a huge hit with guests who have used it, and because of the exclusive nature of the Helsbury experience there’s always a time when you can use the pool in privacy and peace. 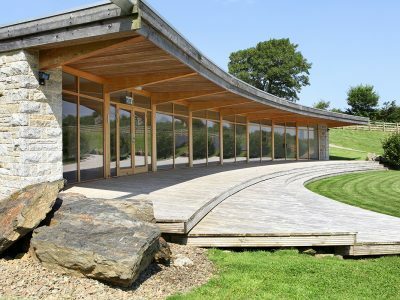 The building is constructed with a timber frame, granite cladding, slate tile floors and large areas of glass to make the most of the view of the Camel valley. 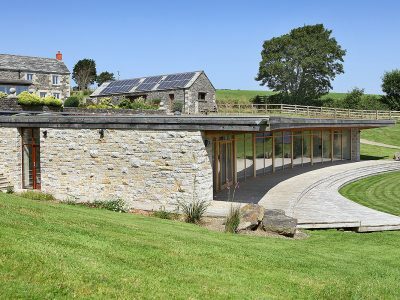 The water is heated by an array of solar panels, there’s a ground source heat pump which takes care of the space heating and a heat recovery system which manages the humidity of the room. 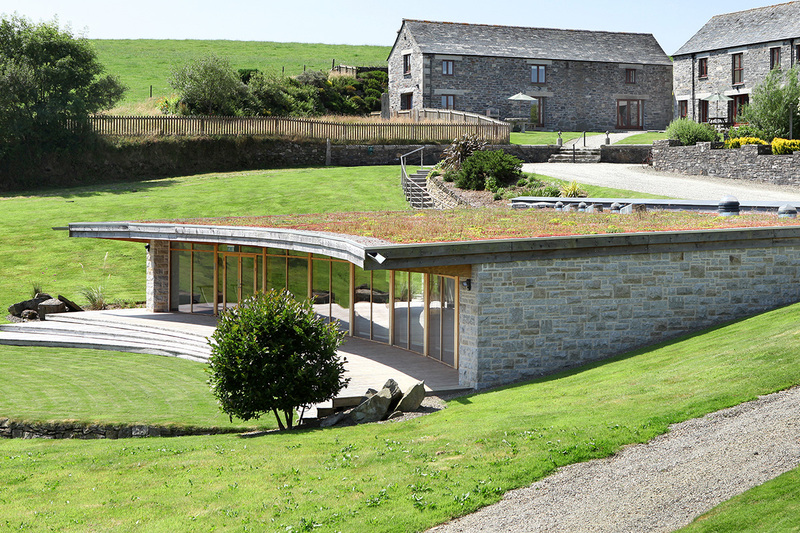 The roof is made of sedum which helps insulate the building as well as looking stunning all year round. Please note the pool is closed on Friday mornings, which is changeover day, for cleaning and maintenance. 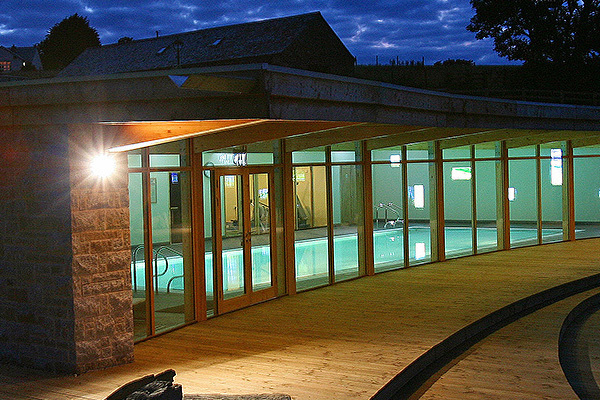 Access to the pool is via a keypad entry system, guests can use the facility at all other times. *There is an extra charge for the sauna is £1 per 12 minutes, minimum charge £5. "What an amazing facility to add to an already perfect place - thank you, thank you, thank you! Once again a fabulous holiday made even better this year by the excellent pool." "We really enjoyed our first stay at Helsbury Park, the pool is excellent very clever design and was used every day. We will definitely be coming back. We had a lovely time at Helsbury Park, the pool area is fab and the views priceless." "We had an amazing time; in fact we all agreed that it was the best holiday we've ever had. The new pool is gorgeous; a good size and just the right temperature, but most impressive of all is the view from the pool of the surrounding countryside. You're really setting the standard for dog-friendly holidays!" 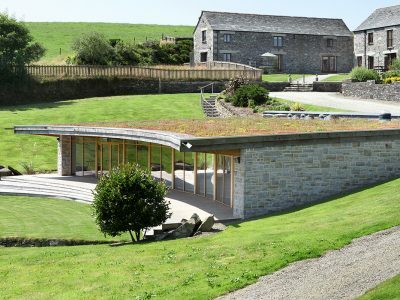 Here at Helsbury we’re very much aware of the almost embarrassing amount of natural beauty surrounding us and feel it is our duty to work with the landscape and wildlife to preserve it and encourage it to flourish. There are nearly 100 acres on site for you to explore with your dog, you can devise a different walk for every day.